Well known among the moon observers. One of the biggest mare of the moon is mare Imbrium. Unfortunately, I have not been able to observe the whole mare. Anyway, a large part can be seen here. On this observation you can see 3 craters diagonally. From top to bottom Cassini crater (flooded with lava) with 2 craters in the crater bottom. 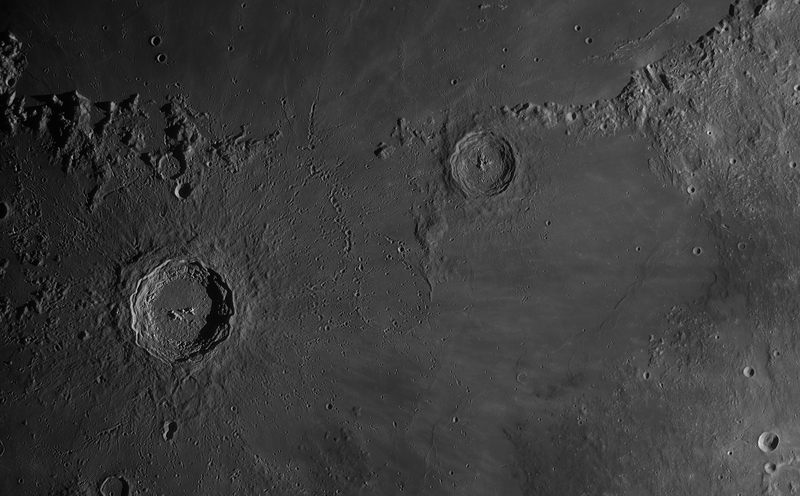 In the middle, Aristillus crater with several mountain peaks in the middle. 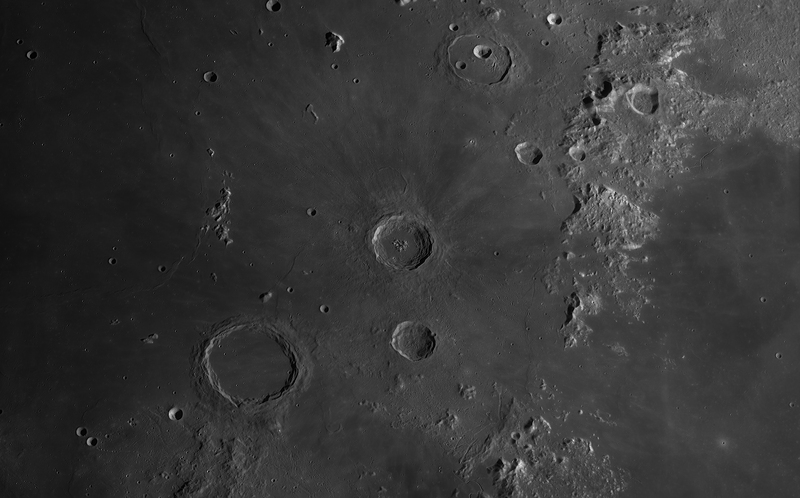 Below left crater Archimedes with small crater wells. To the left of Aristillus crater see a number of Montes Spitzbergen mountains and to the left of Cassini crater see Mons Piton. 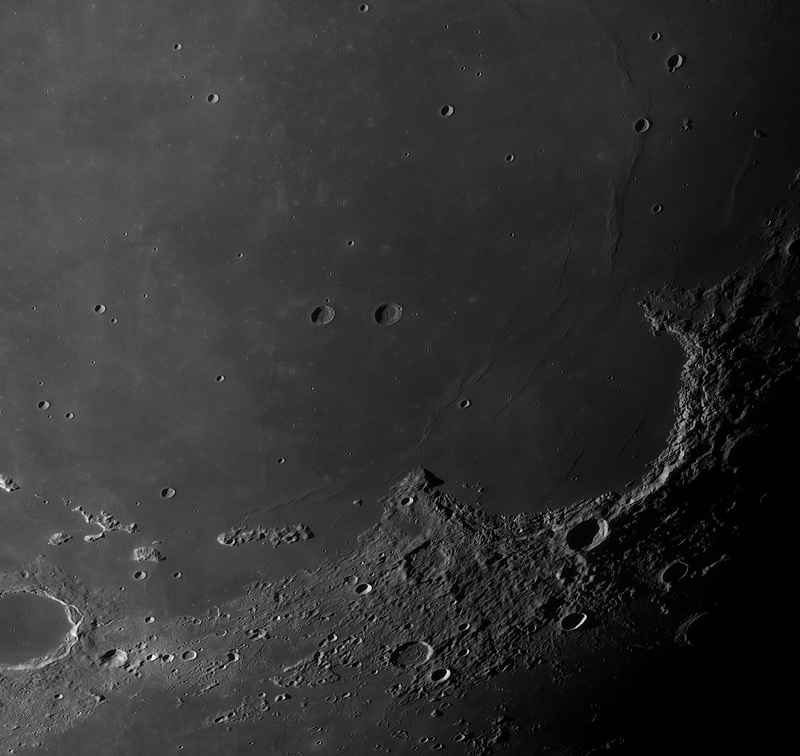 On 12 February I could only do one observation and that is the area around Mare Crisium. Another look at craters bottom. This observation is made far from the terminator. During the moon's observation, contrasts are increased during recording. This to give the dark and light lava part more contrast. 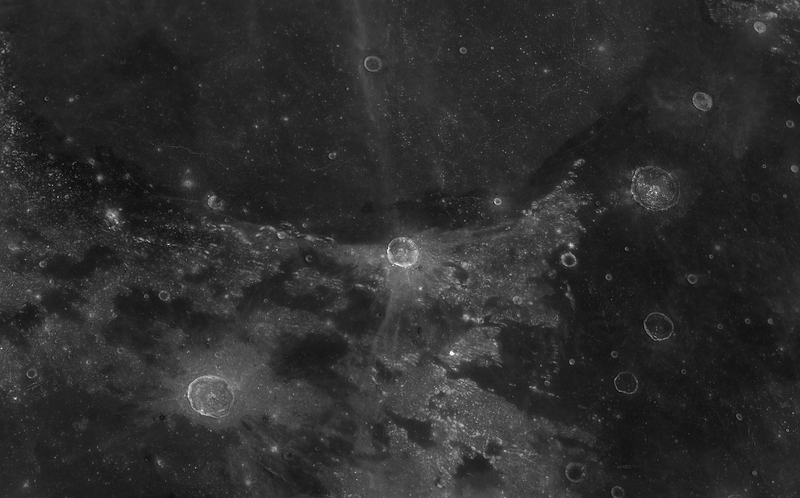 That view of the Sinus Iridum is amazing! My C5 has tack sharp views, but those pictures do show the difference of the extra aperture. 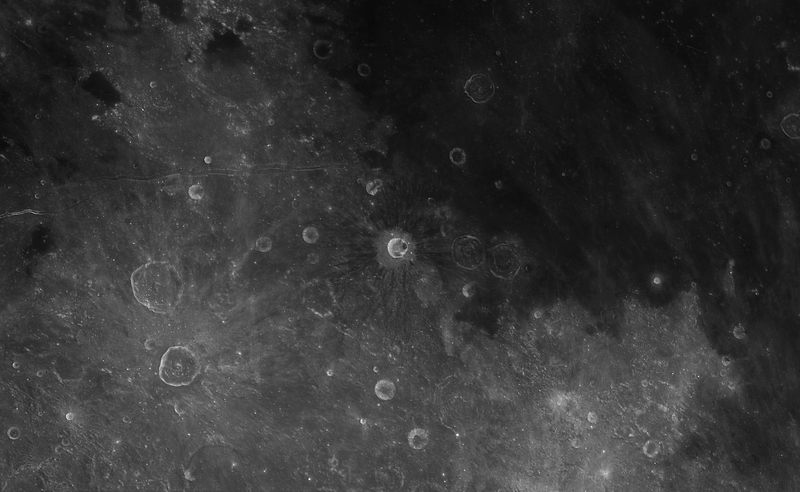 I can see Helicon and Laplace A, and probably a few of the smaller ones, but there's so many little craters in there that just don't show up. Amazing. 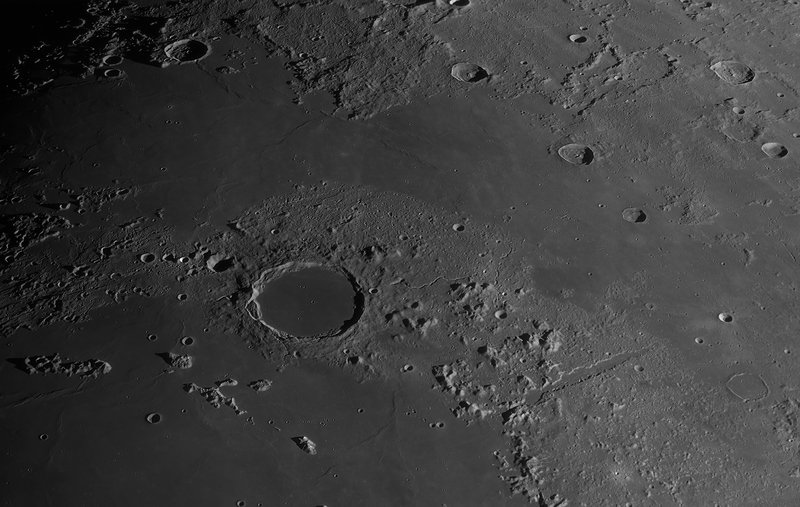 What blows my mind is that, if you consider that the Sinus Iridum is about 250 km across, those teeny tiny craters you can see must be, what, 1/2 km across? 1/4 km? Feel like I am in orbit! Amazing! I don't think the Apollo astronauts ever saw the moon much clearer than this ! A C14 is an amazing lunar and planetary tool, as I say every time. Extremely good conditions, Richard. 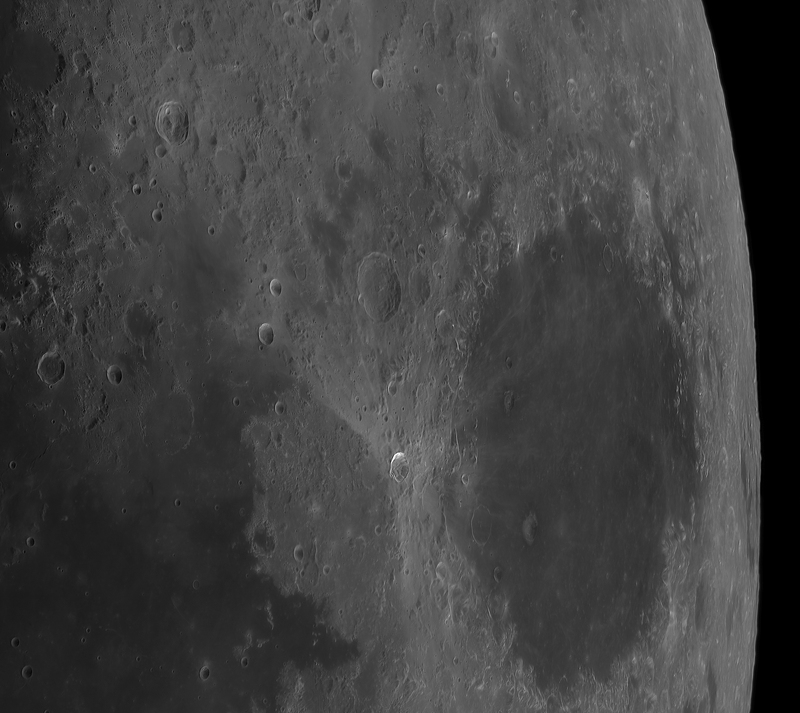 You just managed to sneak in the "top" end of Hadley Rille in one of your images. I've never seen it so well-defined from Earth. Spectacular. I especially like the image of Archimedes and the numerous craterlets. Thanks for sharing. These are tremendous. Thanks for sharing. Superb images, and beautifully processed, Richard.